Geometric forms, jazzy colours, flickering patterns – in the 1960s and ’70s, Victor Vasarely’s Op Art was everywhere to be seen. And it still is today, if we take a closer look: in our clothes cupboards, on cushions, lamps, in architecture. In short, all over everyday life – #VasarelyEverywhere! Take part in our Instagram Challenge: find Vasarely patterns, motifs and effects and stage them on Instagram! The vibrant Victor Vasarely is known as the chief exponent of European Op Art and a central protagonist in post-war French art. 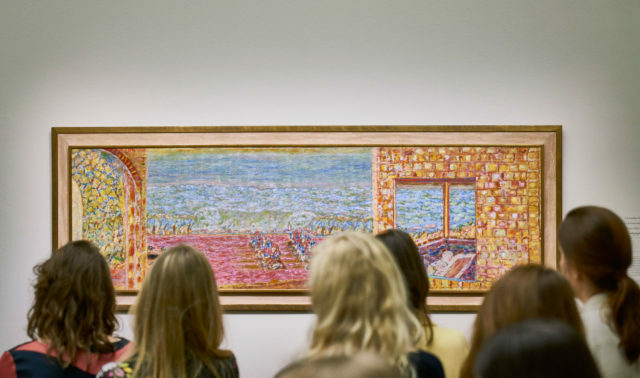 His oeuvre spans six decades. Starting on 26 September 2018, a retrospective at the Städel Museum will take a comprehensive look at that oeuvre. 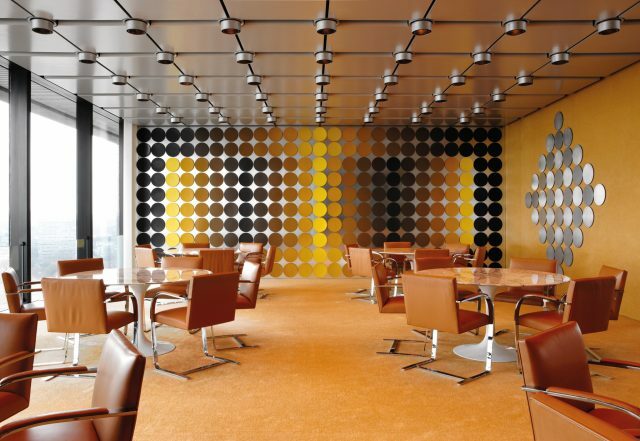 Vasarely stands for a multifaceted, labyrinthine modernism between avant-garde and pop culture. Particularly his works from the Vega series of the 1960s still shape our conception of him today – consciously and sub-consciously. They are psychedelically multicoloured, technoid images, simple forms and compositions that, by virtue of their industrial colours, seriality and reduction, came to symbolize a society heading confidently for a future it believed in. Contemplate your surroundings through Op-Art glasses – it’s more colourful, more distorted, and richer in contrast than you think! Bright and dark, positive and negative, patterns and grids, lines and geometric shapes that introduce rhythm and movement to fabric, material and surfaces. Maybe it’s a scarf with a zebra pattern that fits right into Vasarely’s black-and-white phase? Or a blouse that reminds you of the work Tlinko? School bags with dots that flicker like those in the Vega series? The office building that, photographed from a certain angle, causes a psychedelic sense of dizziness? Find new perspectives, play with perception, and go through the world with your eyes open. Show us that there’s #VasarelyEverywhere! Be as creative as you want; the sky’s the limit! Still need some inspiration? Our exhibition digitorial is a great way of familiarizing yourself with Vasarely’s oeuvre. Or have a look at our Vasarely moodboard on Pinterest! And BTW, we’ve also asked a few Instagramers to share their interpretation of #VasarelyEverywhere with us in advance. Head out and take pictures of whatever reminds you of Op Art à la Vasarely. Post your photos on Instagram under the hashtag #VasarelyEverywhere by 18 November 2018. To be considered for first prize, please be prepared to send us an original file with a resolution of at least 12 megapixels on request. Among all participants who have tagged their photos with the hashtag #VasarelyEverywhere by 18 November, a specialist jury will choose three winners: Jana Baumann is curator of the exhibition, Sascha Lobe a graphic designer and Professor at HfG Offenbach. Adam Hillman, a self described object arranger, uses everyday objects to produce optically scintillating patterns inspired by Op Artists such as Victor Vasarely (find them on Instagram!). 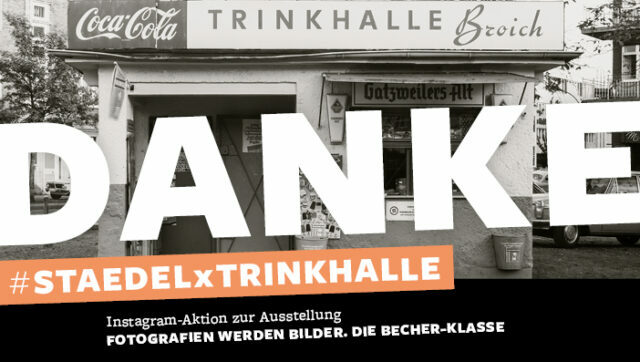 The winning photos will be posted on an advertising pillar in downtown Frankfurt! You can also look forward to receiving a Vasarely package, complete with an exhibition catalogue and two free tickets to the show. Others who have posted especially convincing photos will also receive a little surprise package. 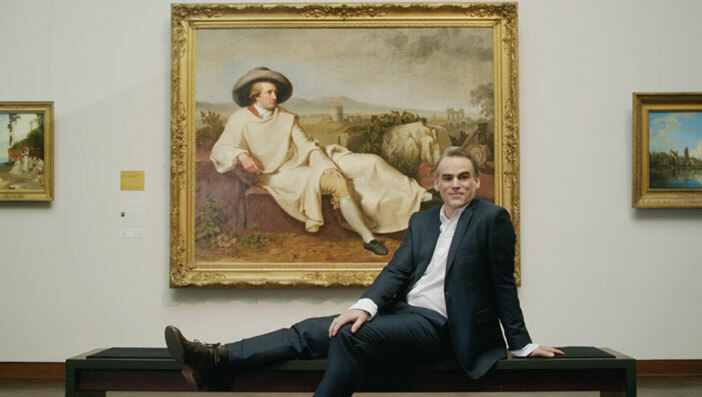 And what’s more, we’ll feature the winners on our social media channels and the Städel Blog. And now enjoy looking at the world through the eyes of Victor Vasarely. We can’t wait to see what you see! The author Sarah Omar works in the Städel online communication department. 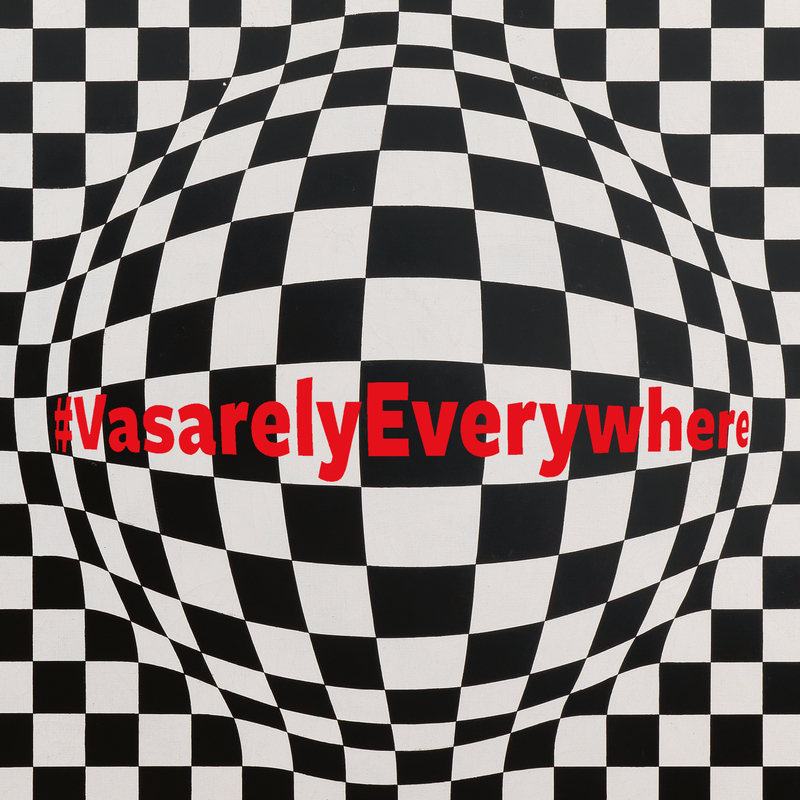 With the hashtag #VasarelyEverywhere on the brain, she really has started seeing Vasarely everywhere – and is looking forward to your interpretations. The exhibition “Victor Vasarely: In the Labyrinth on Modernism” will be on view at the Städel Museum from 26 September 2018 to 13 January 2019. But you can also acquaint yourself with Vasarely’s works beforehand and online – with our exhibition digitorial.